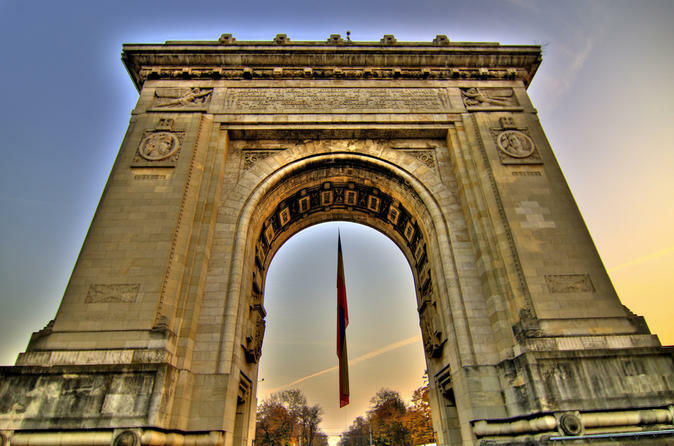 ...tractions: the Arch of Triumph, the Romanian Athenaeum, the Revolution Square, the old city centre, the People’s House. The Romanian Athenaeum is a breathtaking 19th century concert hall in central Bucharest that is home to the George Enescu Philharmonic Orchestra. The Romanian Athenaeum is a breathtaking 19th century concert hall in central Bucharest that is home to the George Enescu Philharmonic Orchestra. 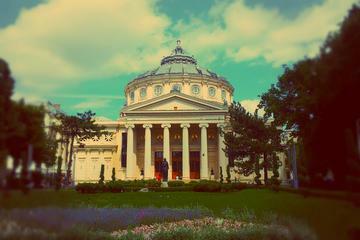 Nicknamed the 'Romanian temple of arts', the neoclassical building is at the heart of Romania's classical music tradition, having hosted the likes of George Enescu, Dinu Lipatti, Clara Haskil, Eduard Wachmann, Constantin Silvestri, and Valentin Gheorghiu. 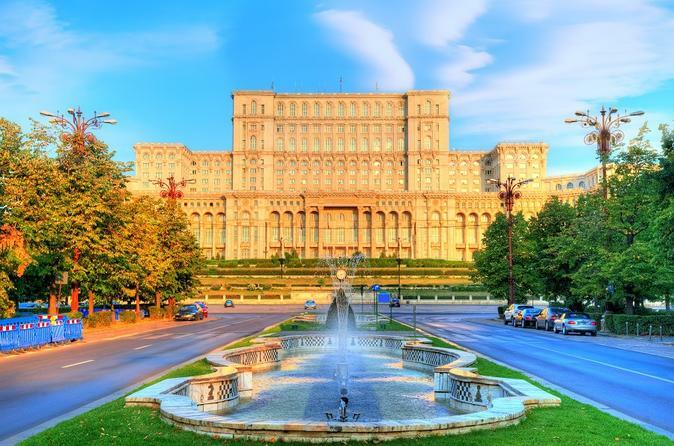 It hosts the annual George Enescu International Festival. The façade resembles a Greek temple, with a row of six monumental 12 metre tall columns supporting a triangular pediment and an architrave with the words 'Ateneul Roman'. The peristyle has 5 mosaic medallions with images of historical princes from Romanian Principalities, including Moldavian prince Vasile Lupu, Wallachian Matei Basarab, and King Carol I. The dome above the central circular part rises 41 metres high. The impressive marble hall on the ground floor has the 12 Doric columns, as well as 4 monumental marble stairways that connect to the main hall and other rooms. 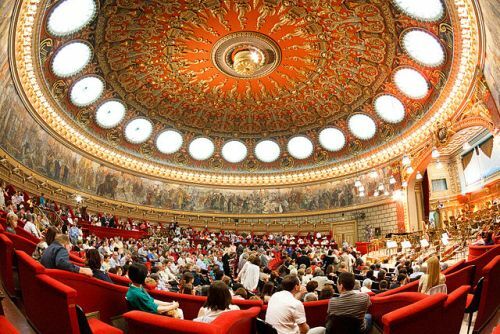 The concert hall is richly decked in red and gold, and features a 75 metre x 3 metre fresco by Costin Petrescu depicting the 25 most important moments from Romanian history, from with the conquest of Dacia by Roman Emperor Trajan to the realization of Greater Romania in 1918. The ceiling features anthropomorphic and animal motifs inspired by Romanian folk tales. 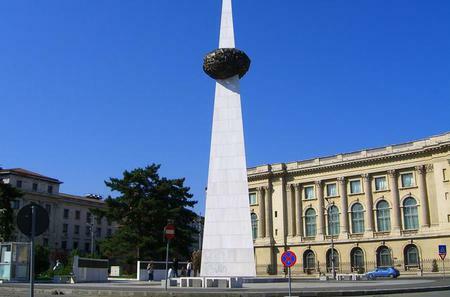 In front of the building is a small park with a statue of Romanian poet Mihai Eminescu.